We go through tons of peanut butter in our house. I am seriously considering buying those giant gallon-sized containers of it because it disappears so quickly. My main PB consumer is Daniel, our oldest son who just turned 13. He eats peanut butter on EVERYTHING, even really weird stuff that kind of grosses me out**. So, for his birthday I made these cookies in lieu of cake this year. 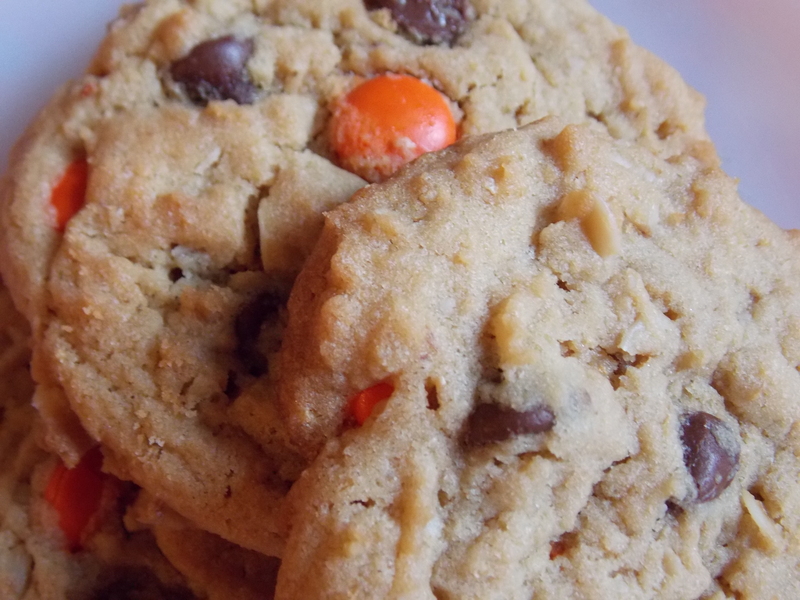 Imagine your basic Monster cookies (which I love just a little too much) with Reeses Pieces instead of M & M’s. 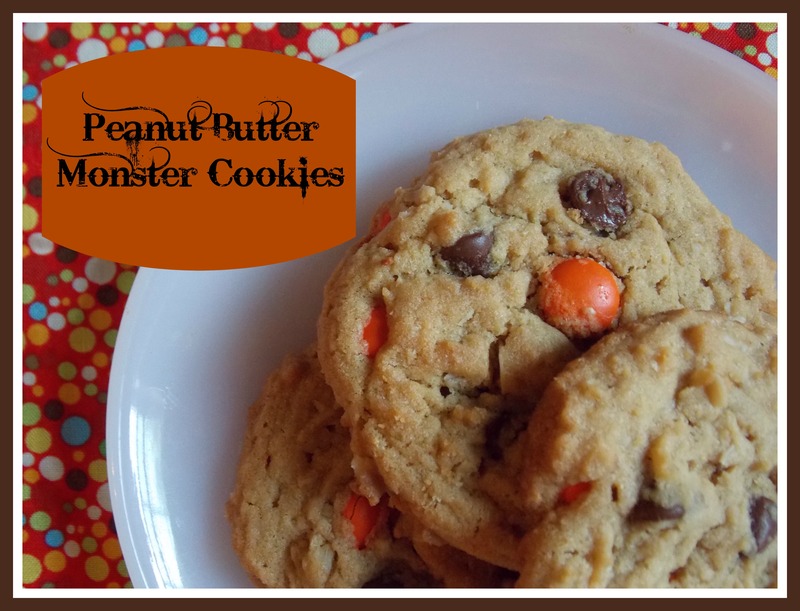 Peanut butter cookie dough with chocolate and peanut butter pieces added in. These got gobbled up pretty fast, so I guess they were well liked. I may have had one actual baked cookie out of the batch, but I can testify that the cookie dough was awfully tasty. Mix all ingredients in a large mixing bowl. Chill dough for at least 1/2 hour. Bake at 350 F for 12-15 minutes. **Moms–Do not, I repeat Do NOT watch a 12 to 13 year old boy eat pretty much anything. You will quite possibly be disgusted and nauseated. Yes, make your kids great food and love them to bits, but be ready to turn away when they are ready to actually eat/inhale it. Consider yourself warned.